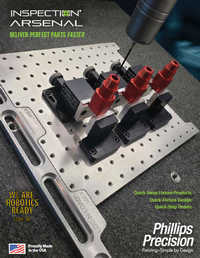 Phillips Precision, Inc. is your one source for complex machining services, fixture design and ready-made, industry-changing quick swap fixture plates and work holding components for inspection and laser marking. While the machine shop manufactures parts for a number of industries, it also serves as a manufacturing laboratory for the products division through which it sells unique and affordable work holding products. Our ISO9001 certified machine shop specializes in short run production and complex prototypes. The first universal fixturing system providing a complete set of tools for all inspections. 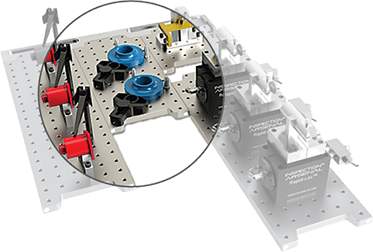 The only universal, quick-swap fixture system for laser marking applications.